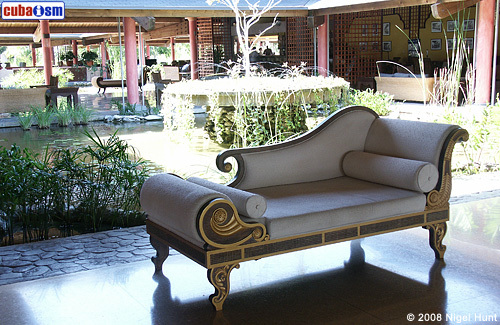 The Hotel Playa Pesquero is a Super-included hotel, offers the visitor reception available 24 hours and personal multilingüe, the lobby is immense with ponds of fish everywhere to the Asian style, and there is a locomotive of vapor of 1924 parked out like original ornamental detail, beauty parlor, living room of conferences with capacity for 500 people and modern equipment, service of rooms and of laundry, tourist information, rent of cars and of motos, connection to Internet, infantile club, medical services and theater. Has lobby at your service with reception open 24 hours, wardrobe, service of foreign currency change, several restaurants and bars, hairdresser, stores, disco, room of theaters, connection to Internet, electronic mail service, infantile club, infantile park, service of rooms, laundry service and parking squares. The complex has 2 restaurants buffet 1 international and another Creole, 4 Restaurants to the letter: Asian ("Jade"), Italian ("The Gondola"), romantic ("Copacabana"), trattoria ("Terra Antiqua"), vegetarian restaurant, snack-grill ("The Palmar"), ranchon of Beach ("Caletone"), lobby-bar the 24h, acuabar, 4 bars, gardens, ice cream. 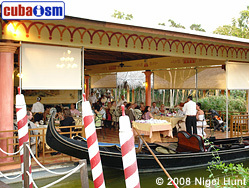 In the restaurants we find all type of foods: "The Latin", with international buffet; "The Gondola", with a channel and an authentic Venetian craft to their entrance; "The Romantic" one, with piano accompaniment and melodies type boleros, all very moving ones. 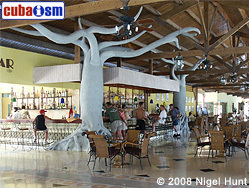 The bars are open 24 hours, each one has special names as for example "The Station", located in the lobby bar, concentrates to 200 people, "The Pipe", Oasis of the beer, Aqua-bar, Area of the pool and Karaoke Bar. 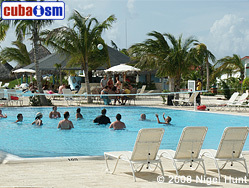 Special attention you toasts in the Hotel Playa Pesquero to the sports for forcible a varied range of them. They can be practiced activities like: tennis, ping-pong, badminton, volley beach and basketball. In the beach there are beach chairs and available parasols. 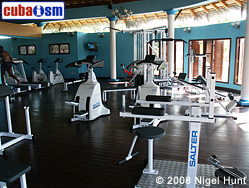 There is a gym where it can be practiced aerobic and gymnastics. Also, it also fits the possibility to practice shot with arch, to mount horse, to play to the petanca and the billiards, offers a daily program of animation for children and adults, as well as a program of shows at nights. To practice swimming and nautical sports there are three pools of big dimensions with infantile areas, and amid them a garden surface with palms, plants and stones that stiller embellish the landscape. The jacuzzi is also. After the bathroom one can read or to converse placidly under the parasols and gacebos or to rock you in the tropical hammocks, beach chairs and to enjoy juices, sodas or cocktails that the waiter offers who he comes closer to each guest with a selection shopping cart, under the sun of the Caribbean. 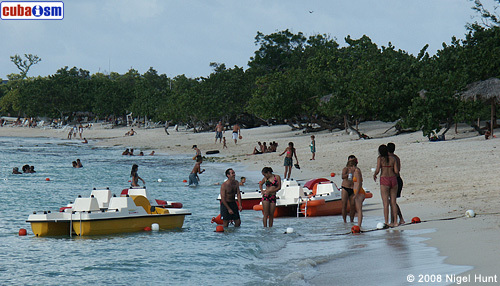 Kayacs, sailing ships and aquatic bicycles, or the windsurf practice and snorkelling, and the appellant International Center of the Diving, all with the security of specialists and lifeboat that guarantee a pleasant stay. The blue of its water with the warm temperature invites to the unavoidable bathroom or also to the walk for a long fringe of fine and white sands. The Hotel Playa Pesquero offers special programs for weddings and honeymoons: offers special packages of weddings. These include from the girlfriend's suit, a check in private, welcome cocktail, coordinator of weddings, legalization of documents and marriage certificate, honoraria of the notary, bottle of it digs in the room to the arrival, decoration of the selected place for the wedding, girlfriend's field, pictures of the event, cake of weddings, car thrown by horses for the contracting parties, sole right has dinner for the couple and companies in restaurant to the letter and other gifts.